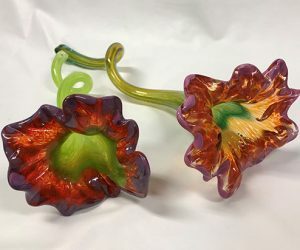 The Lehigh Valley’s only hot glass studio! 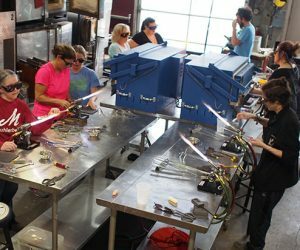 Since opening in the fall of 2006, the Glass Studio at the Banana Factory has welcomed thousands of students taking classes, and thousands of visitors enjoying demonstrations, parties and team building experiences. 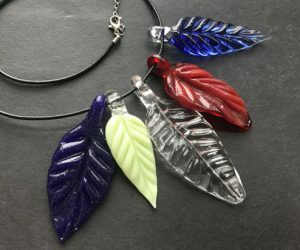 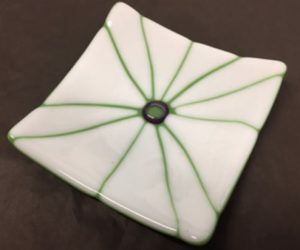 As the only hot glass studio in the region, we offer classes to nearly all ages and levels, from teens through adults, and from beginners to advanced. 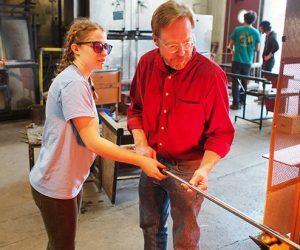 Dennis Gardner is the Glass Studio Manager, assisted by Dan Getz, Brian Toseland, Hannah Shine and Ken Shirey. 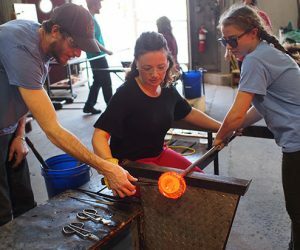 There are regularly scheduled events such as the “Hot Glass Experience”. 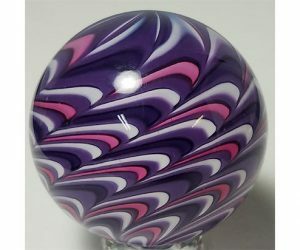 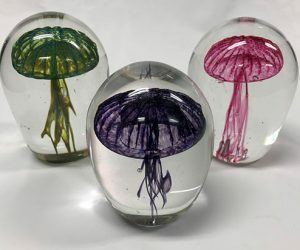 These allow individuals to book 20-minute slots and create their own piece of glass art, such as a flower, a paperweight, or pumpkin. 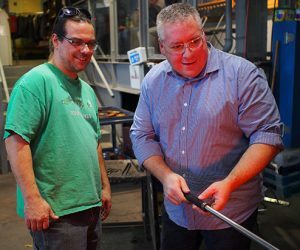 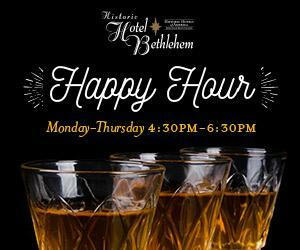 The Glass Studio is also represented at off-site festivals, including Musikfest, Oktoberfest and Christkindlmarkt. 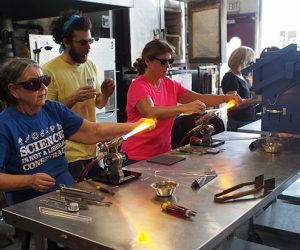 The Glass Studio also accommodates group events, including demonstrations, fun party outings, and corporate team building programs. 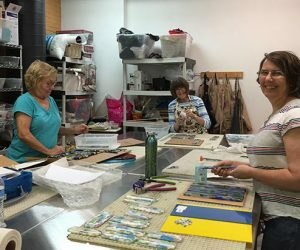 In addition we have a Fusing and Slumping studio at the Banana Factory. 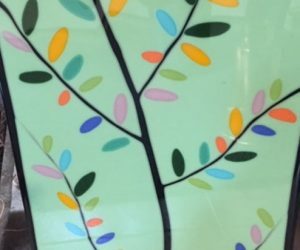 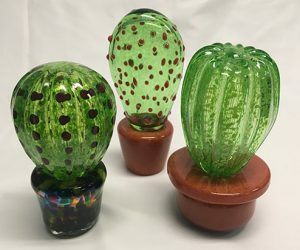 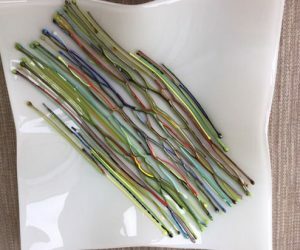 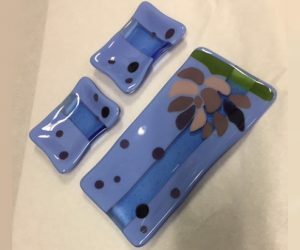 This very popular program is taught by Rebecca Shoemaker, and consists of working with flat glass in distinctive patterns, melting it in kilns and creating one of a kind decorative artwork. 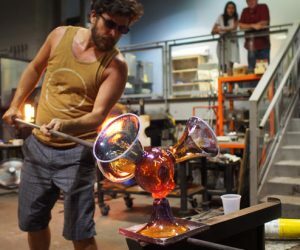 New in 2018, we’ve added Flame Working as a third glass art medium. 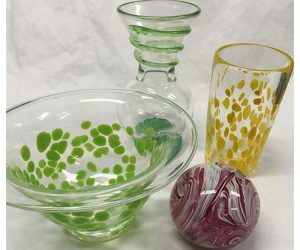 This art form is increasing in popularity, and the Glass Studio is ready to help you be a part of it. 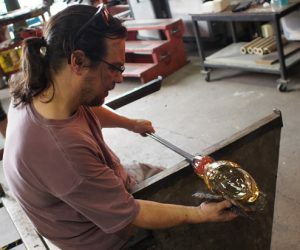 The Glass Studio’s artists can be commissioned for a wide range of custom art, including sculptures, installation pieces and decorative and functional glassware. 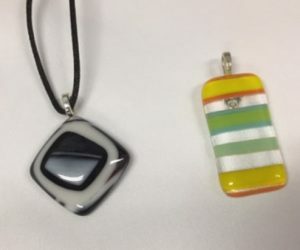 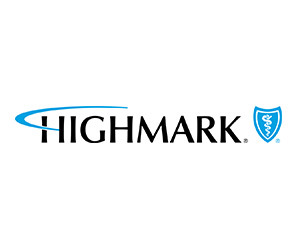 For information on commissioned work, please contact us at AQGlass@artsquest.org.